How can I get safe treatment? The JCCP has been established to assist members of the public who are seeking/considering or undergoing non-surgical and hair restoration surgery treatments (Injections, Fillers, Lasers, Peels and Hair Restoration Surgery) with advice on patient safety matters and how to gain access to registers of approved practitioners. Introduction: Why Establish The JCCP? JCCP has been established to deal with the many problems associated with risks attached to non-surgical anti-aging treatments and hair restoration surgery sought by the general public. Lack of independent information and advice for the public and practitioners. The JCCP has been established to deal with these issues by raising awareness amongst the public of the risks involved when undergoing treatments and by registering practitioners and approved education/training providers. If you are concerned about the actions of practitioner who is registered with the JCCP you can contact us and raise the matter in confidence. 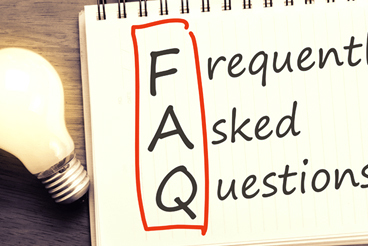 We have put together a list of frequently asked questions to assist you with common questions asked about the JCCP. Why is there a need for a JCCP Register of Approved Education and Training Providers? Many of these providers are formally recognised and have been through appropriate assessment processes whether they be a University, College of Further Education or a private training provider recognised by an approved OFQUAL or SQA awarding body. Many others operate independently. There are major issues involving the misrepresentation of qualifications and in the entry reqirements and processes for joining courses/programmes at all levels. Providers offer recognised university and vocational qualifications but there is also a large and sinificant market for short practice-based courses and CPD programmes. The JCCP believes that it is important for practitioners to be aware when deciding on which education/training programme to enrol the status of that provider, the natiure and level of the qualifications on offer and how they meet and reflect the JCCP/CPSA standards. To do this the JCCP has established a ‘Register of Approved Education and Training Providers’. A Regulated Awarding Organisation and offer a regulated qualification to the standards required of the JCCP for the modality concerned. Those offered by a UK University or College of Further Education. Ofqual approved qualifications in England. Ofqual equivalents in Scotland (SQA), Wales and NI. What are the entry requirements to join the JCCP Register of Approved Education and Training Providers? The process for joining the register is the same for all Education and Training Providers. Registrants will need to complete a detailed application, provide evidence and sign a ‘Self Declaration’ statement. Independent JCCP Assessors will review each application and will give feedback to the applicant prior to an ‘Assessment Visit’. The final decision regarding the application will be made by the JCCP Education and Training Committee. What is the legal status of the JCCP? The JCCP is a company limited by guarantee with UK charitable status, approved by the UK Charity Commission. This means that the JCCP will operate as a ‘not for profit’ body governed by a ‘Board of Trustees’ who operate within the Charities Act (2011). In order for the JCCP to become a charity it must demonstrate that it is operating for ‘public benefit’ which in this case means ‘patient safety’ and ‘public protection’. Information on the JCCP Constitution. Information on JCCP Committees and Trustees. Has the JCCP established a ‘Board of Trustees’? The JCCP has established a Board of Trustees under the Chairmanship of Professor David Sines, CBE. Professor Sines chaired the HEE stakeholder consultation process following the Keogh Review and has acted as the Chair of the JCCP Development Project since January 2016. Professor Mary Lovegrove OBE has been appointed as Chair of the JCCP Practitioner Register Committee and Associate Professor Anne McNall, Chairs the JCCP Education and Training Committee. All three are Trustees for JCCP Limited. This organisation has now been formally constituted following legal consultation on due process. These Company has been registered at Companies House. There are a total of fifteen appointed Trustrees. A full structure of JCCP Committees and membership can be found at here. The list of JCCP Trustees is avaible on the JCCP web site. What is the proposed constitutional structure of the JCCP? What Sub Committees of the JCCP Board have been established to operate its business? Practitioner Register Committee - this Committee manages all of the JCCP Practitioner Register activity as well as its 'Fitness to Practice Panels and Procedures. Education and Training Committee - this Committee manages all of the JCCP Education and Training Register activity as well as dev eloping JCCP policies and procedures in this area. Policy, Finance and IT Sub Committee - this Committee manages the day to day operational aspects of the JCCP. Marketing and Communications Sub Committee - this Committee manages the day to day operational and strategic marketing and communications functions and activities of the JCCP. A full structure of JCCP Committees and membership can be found here. What are the objects of the JCCP? publishing, operating and implementing a code of practice for Registrants in the interests of public protection. In these Articles, charitable means charitable in accordance with the laws of the United Kingdom provided that it will not include any purpose that is not charitable in accordance with section 7 of the Charities and Trustee Investment (Scotland) Act 2005 and/or section 2 of the Charities Act (Northern Ireland) 2008. Does the JCCP have a ‘Mission Statement’ and agreed set of ‘Values’? ‘The Joint Council for Cosmetic Practitioners (JCCP) and the Cosmetic Practice Standards Authority (CPSA) are recognised self-regulators of the non-surgical aesthetic industry in the United Kingdom and the point of access for the public seeking information about this area of practice and where appropriate for raising concerns about practitioners. The JCCP places public protection and patient safety as the focus of its activities. JCCP Practitioner Registrants and associated Education and Training Providers will be accredited and endorsed by the JCCP as meeting the highest standards of quality by ensuring that all parties who have been admitted to the JCCP’s Registers have met the agreed industry qualifications, benchmarks and abide by the standards of practice and behaviour as determined by the Cosmetic Industry CPSA and the JCCP’. Operating its Register of Practitioners and Education and Training Providers within a strict and agreed Code of Practice that embodies robust ethical standards to providing aesthetic treatments. Working in partnership with patients and all key stakeholders in the aesthetic industry. Applying strict standards for entry to the JCCP Register and for continued registration. Approving education and training providers that deliver programmes that meet the standards. Maintaining a register of individuals who successfully complete those programmes and accreditation procedures. Taking action if the standards may not have been met. Establishing clear and simple procedures to enable the public to raise issues of concern about the professional practice of registrants. Providing simple and easily accessible information to the public considering non-surgical aesthetic treatments. How will the JCCP provide information and guidance to the public on patient safety and cosmetic treatments? The establishment of a ‘Practitioner Register’ of professionals qualified and assessed to carry out non-surgical procedures against an agreed set of standards and qualifications. The establishment of a ‘Register of Approved Education and Training Providers’ who meet the JCCP agreed standards for the provision of education and training. The development of an ‘Information web-based portal’ that the public can access that will identify every JCCP registered practitioner and the modality and level at which they have been accredited to practice. Guidance on each of the treatments included in the JCCP CPSA Standards Framework. Through a range of ethically determined conventional and social media platforms. What is the status of the JCCP Practitioner Register? The JCCP Practitioner Register is a voluntary register open to all practitioners working in the fields ofcosmetic treatments (who are practising at and beyond Level Four as defined in the JCCP Non-Surgical Cosmetic Interventions and Hair Restoration Surgery Education and Training Competency Framework, 2018 - this framework now replaces the previous framework developed by Health Education England - HEE) and who meet the JCCP’s standards and criteria for admission to the Register. The Register’s aims are to provide guidance to the public seeking treatments in the procedural areas recognised by the JCCP. The has been formally approved by the ‘Professional Standards Authority’ – the Government's Regulator of public sector healthcare-related registers in the healthcare sector – and has successfully received accreditation of its Practitioner and Approved Education and Training Registers. Who will be included within the JCCP Register for Practitioners? What are the entry requirements for the JCCP Practitioner Register? The JCCP and the Cosmetic Standards Practice Authority (CPSA) have developed a set of educational, clinical and practice standards and a set of entry requirements (in conjunction with many leading experts in the cosmetic sector) for persons wishing to join the Practitioner Register. Who are the Cosmetic Practice Standards Authority (CPSA) and what do they do? The CPSA has also been charged with the responsibility to review any new orphan treatments that emerge in the market place and in collecting data on ‘adverse incidents and complications’ occurring in the area of non-surgical treatments. How are recognised qualifications developed, offered and awarded? Organisations approved by the United Kingdom Accreditations Service to ISO17024 to offer assessment and certification of competent persons’ schemes. What is a Level 7 qualification in aesthetics? Higher Education and Vocational qualifications in England are offered at Levels 1 – 7. These levels then equate to qualifications offered by Universities e.g. Level 5 equates to degree level; Level 7 equates to evidence of study at Master’s level. OFQUAL is the regulator of qualifications in England and receives proposals from Awarding Bodies such as City & Guilds and Industry Qualifications (IQ) to offer a qualification. Ofqual determines if the submission meets strict standards and reflects the level of the award. Equivalent regulators operate within the devolved administrations in Scotland (SQA), Wales and Northern Ireland, all of whom will be recognised by the JCCP as legitimate partners by way of Memorandum of Understanding. Following the publication of the Health Education England (HEE) framework of educational qualifications and levels in 2015 for non-surgical treatments it has been possible to identify which treatments are offered at which levels and the competencies involved. The L7 qualification in aesthetics or linked activities is a benchmark for practitioners to demonstrate competence and is equivalent to a 'Master's Degree' level. It is therefore extremely important that practitioners research any L7 programme and qualification to see if it is recognised by the appropriate bodies. Unfortunately there are many L7 programmes on offer that are not recognised or accredited by the key bodies mentioned above and secondly have not been approved by the JCCP. The list of regulated Awarding Organisations can be found at https://register.ofqual.gov.uk and a search on Aesthetic will show those qualifications at level 7, along with others at lower levels. What is the JCCP position on L7 qualifications and programmes? However, the JCCP believes that many of these qualifications and programmes need to be amended to bring them into line with the approved JCCP/CPSA framework of education, clinical and practice standards. 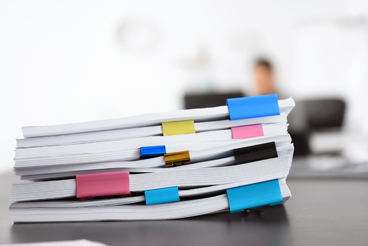 Although there are a limited number of L7 qualifications offered currently via Ofqual (or equivalent devolved administrations in Scotland, Wales and Northern Ireland) approved Awarding Organizations, there are many which are not. If a candidate presents evidence in support of membership to the JCCP that relates to a non-recognised L7 qualification, then the JCCP will review the content and practice levels required to be met against the JCCP/CPSA education, clinical and standards framework. Presenting a non-recognised L7 qualification will not be sufficient to gain full membership of the Council. That persons seeking to gain qualifications in the aesthetic sector should follow clear rules about progression and that these should be embodied into entry requirements for those programmes. In particular, a candidate must be able to demonstrate competence and proficiency at one level before proceeding to the next level e.g. to enter a level 4 programme you must be able to show you have achieved L3, the same for a L7 programme you must show that you have already achieved or have the capacity to operate at L6. The concepts of the ‘Recognition of Prior Learning - RPL’ and the ‘Accreditation of Prior Experiential Learning – APEL’ demonstrate competence and proficiency. This in particular applies to experienced aesthetic practitioners who have operated for many years but without the context of a recognized set of standards or qualifications. The JCCP will be seeking to establish a list of approved RPL/APEL providers who can carry out this process for existing practitioners. Will manufacturer/product training and practice programmes be accredited in the future? The JCCP is working with manufacturers and product companies who provide extensive training to practitioners to consider how their training can be incorporated into recognized programmes, qualifications and for CPD programmes. The case for accreditation of the same is also being considered by the JCCP. I am a member of the public and wish to make a complaint – how do I do this? Can I be assured that a JCCP practitioner is competent to treat me without supervision? The JCCP has agreed very specific supervisory arrangements with its sister body the Cosmetic Practice Standards Authority (CPSA). The CPSA has set out who is able to do what type of treatment at what level with and without supervision. However despite setting out these standards the JCCP recognises that each practitioner is responsible for ensuring that they practise safely in order to protect the public. Any breach of the JCCP and CPSA standards may lead to a JCCP Registrant being held to account for their practice to the Council's Fitness to practise Coimmittee. How can I tell if a ‘Practitioner’ is a member of the JCCP? I am concerned about statements being made by a ‘Practitioner’ and/or an education/training company and wish to complain. How do I do this? go directly to the Advertising Standards Authority (ASA). What are the terms of reference for the JCCP Stakeholder Council? You have chosen invalid value. We cannot continue with your application at this time. Currently you do not meet the criteria to join the JCCP register and we cannot continue with your application at this time.